Alaska... It has always been a dream of mine! I've been manifesting a big trip to AK for a while now, and when I got an email/invite from the Segal sisters to head North in April I was STOKED! I've worked with Australian sisters Anna and Nat Segal both individually, so I was super excited to travel and ski with them together. They have been tirelessly working with filmmaker Bjarne Salen on a feature length documentary for over two years. Finding the Line is the name of their film and it explores the depths of how we perceive fear in the mountains. Alaska was the final shoot for their film, and there was definitely immense pressure to fullfill a big shot list. 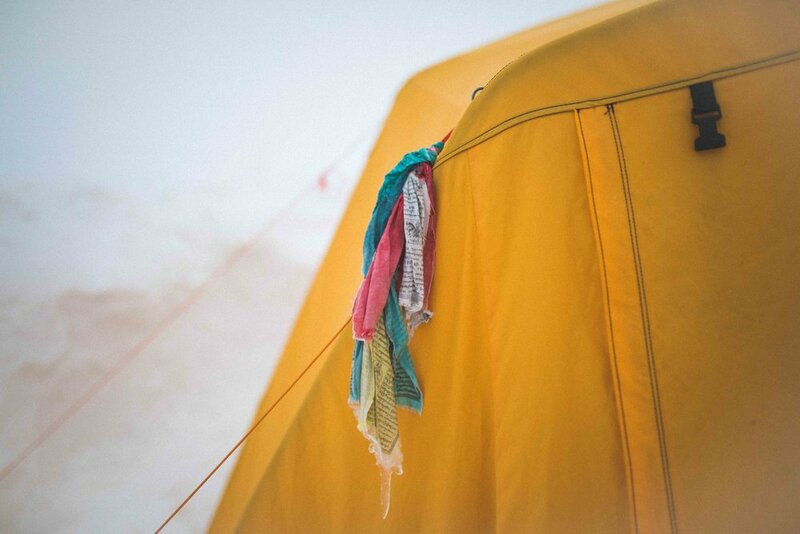 We hustled for two weeks, despite absolutely crazy weather and extreme avalanche conditions. Eventually things came together and we all learnt a lot about patience and timing in the mountains. We spent two weeks skiing with Points North Heli Adventures in Cordova. The first week we flew way up into the Chugach mountains, to the PNH "Tour Camp" setup. It was so cool! They have massive dome tents, perfect for glamping amongst the Alaskan glaciers. The second week we were doing day heli trips from the oceanfront base lodge in Cordova. We definitely had a lot of down days, and had to dig deep to make the shots work. The Chugach range was experiencing its biggest avalanche problems in recorded history. The snowpack pretty much consisted of two meters of facets, crazy windslab, and then upon our arrival, about two meters of fresh snow. Avalanches were taking out mature timber in the valley bottoms. It was just not a time to be filming in Alaska! Luckily a bit of patience and a lot of puzzles got us through the down days. We got out for some epic skiing after all! Bjarne and I even got to shoot with the doors off the heli. It was my first time shooting out of a helicopter with my feet dangling in space, and I loved it!! Austrian skier and FWT Champion, Lorraine Huber joined us for a few days. It was so great to meet her and watch her charging on skis!! This was truly an amazing trip. Massive thank you's to the Segal Sisters, Points North Heli Adventures, Bjarne Salen, Lorraine Huber, and our awesome guides! Watch for the release of Finding the Line in the Fall of 2017.